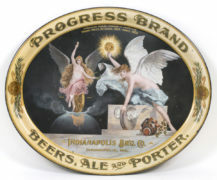 This is a tin charger made for the William J. Lemp Brewing Company, St. Louis, MO in 1903. 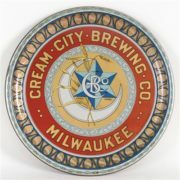 It is the first charger in a series of six Lemp Brewing Co. metal chargers distributed from 1903-1917. The first charger is unique from the other five chargers in the fact that Sir John is wearing a brown suit on this one, while he is in a green covered jacket in all of the other scenes from this series. This particular charger is 24 inches in diameter. 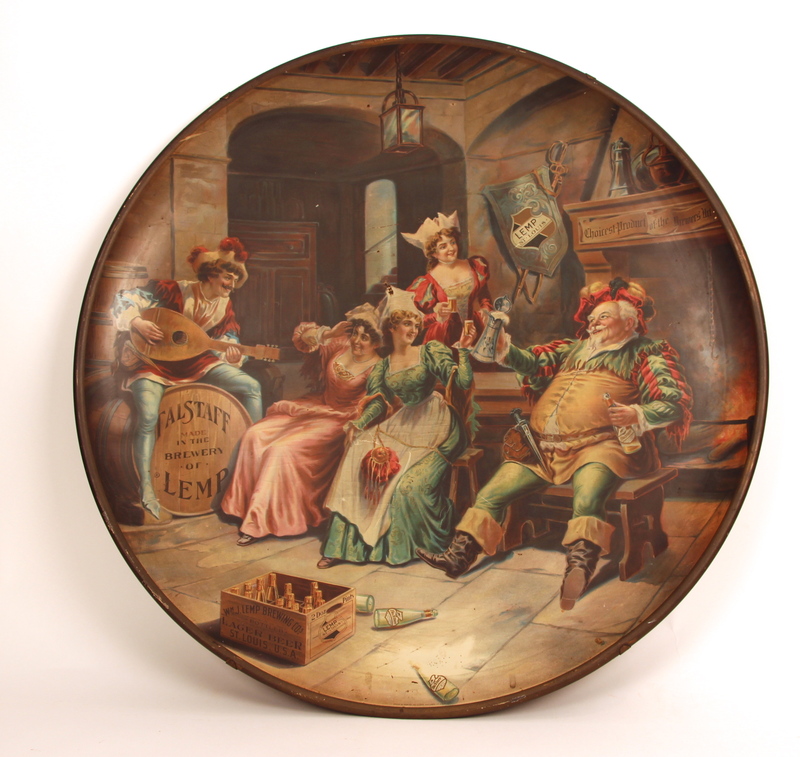 It features Sir John Falstaff in an indoor tavern setting with a group of woman surrounding him while he is enjoying his Falstaff beer. Sir John Falstaff is a mythological character from three of William Shakespeare’s plays. 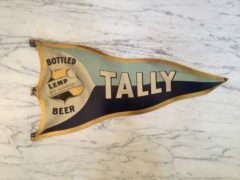 Sir John Falstaff was often used by the Lemp Brewing Co. for their advertising in the early 1900’s. The Wm. 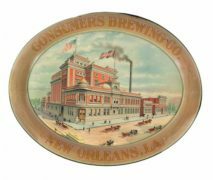 J. Lemp Brewing Company was ahead of its time in the mid-1800’s when the business established itself in St. Louis, Missouri. 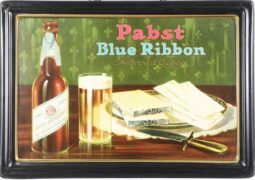 It was the first brewery to use refrigerated train cars and their own railroad line to ship products nationwide. 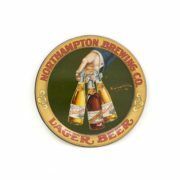 William J. Lemp took over the brewery from his father John Adam Lemp, and both helped grow the company to be successful. 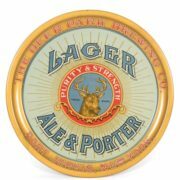 Lemp introduced the Falstaff shield trademark in 1896 to protect his brand from imitators. 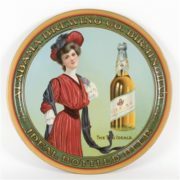 The design for the shield came from a rendering of an artist’s paint pallet. 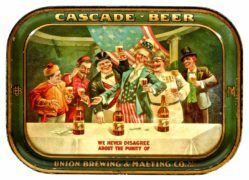 By the late 1800’s, it was one of the top twenty largest breweries in America and their Falstaff beer was more popular than ever.